Act I: Poor little BP lives a quiet life on a cool, dark shelf. Enter The Baker, who introduces BP to Wet. Bubbles appear. Act II: The Baker, sensing something dramatic might be happening, then introduces BP and Wet to Heat, and kaboom! Bubbles appear again. The Baker encourages BP, Wet and Heat to travel together to Cookie Land, and they have adventures along the way. Act III: Out of the oven the Baker pulls beautiful cookies, all puffed up and proud, thanks to BP's double-bubble action. Actually, except for The Baker, they all get eaten in the end...which, of course, is a happy ending for us! I'm no scientist, which is perhaps why I'm not a good baker, and I'm always a bit confused about the baking powder/baking soda thing. Baking powder is a chemical -- more precisely, a mix of chemicals, usually cream of tartar and either sodium aluminum sulfate or anhydrous monocalcium phosphate -- that produces a controlled reaction when combined with liquids and heat. Nearly all baking powder sold today is double acting, which means that it contains two acids that react at two different times; the quick-acting acid dissolves first, when mixed with liquid, and the slower-acting acid reacts when activated by heat. These reactions release carbon dioxide gas, which causes the batter that's carrying the baking powder to rise. Rumford (which used to be made right here in Rhode Island) is the best-known aluminum-free brand of baking powder; check your market for others. There are also sodium-free baking powders; if you use them, be sure to double the amount called for in your recipe, as these products are less powderful. As a rule, baking powder will last 4-6 months if stored in a cool, dry place. To test the viability of your baking powder, drop a generous pinch in some hot water. If it fizzes, it's still good; if it sinks in a blob to the bottom of the bowl, throw it away. From the pantry, you'll need: rolled oats, all-purpose flour, brown sugar, butter, baking powder. Makes 2 dozen or more. Dump all ingredients into a large bowl. Mash! Knead! Pound! The longer and harder you mix, the better the cookies will taste! Roll dough into small balls. Place on cookie sheet and bake at 350 degrees for 10 to 12 minutes. So glad that you discovered such a funny little gem of a recipe in the yard sale find! 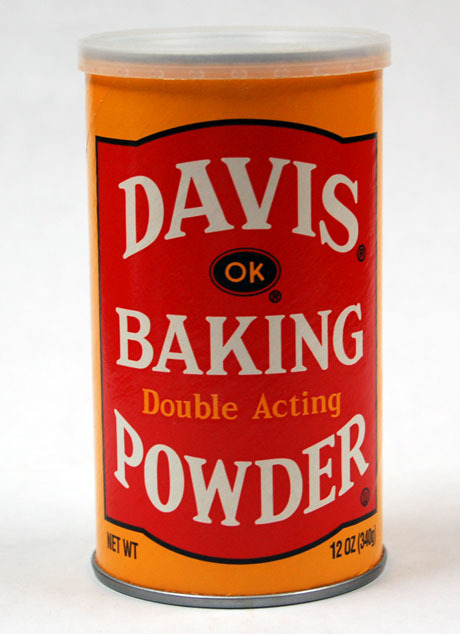 Maybe you can confirm for me: Is Davis Baking Powder available only on the east coast? Tom, welcome to The Perfect Pantry. Davis, which started in New England, was bought by Nabisco but is now owned by Clabber Girl, which is based in Terre Haute, Indiana. So I'd be surprised if their distribution isn't nationwide. The other brand I use is Rumford. If I'm not mistaken, I think that's a Peg Bracken recipe - she of the popular "I Hate to Cook Book". There are some great recipes in there. Thanks, Sixty-Five, and welcome to The Perfect Pantry. (I am also year of the dragon, by the way.) I'm thrilled to know the origin of this recipe. Hooray for Peg Bracken -- her book was a staple in my mother's kitchen. 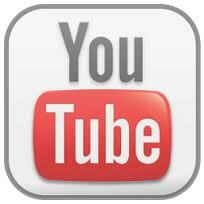 Can I purchase sodium and aluminum free baking powder in Michigan. I cannot have these items because of health reasons but every recipe calls for baking powder so I barely bake anymore. I believe the Aggression Cookies recipe was printed in the late Peg Bracken's "I Hate to Cook Book." My Mastercook copy of the recipe has this in the notes "Peg Bracken: 'However, these are the best-tasting as well as the fastest, easiest and cheapest cookies I ever ran into, and I wouldn't say such a thing unless I meant it. The Community Mental Health Center at St. Lawrence Hospital in Lansing, Michigan, printed it, in the hope of channeling some energies away from throwing bricks, or snarling at Santa Claus. The more you knead, mash, squeeze and beat the bejunior out of the dough, the better you feel and the better the cookies taste.'" I still have yet to try them.. maybe today, since it's so dreary outside! Geekymom, thank you! Mystery solved!